THIS REAL ESTATE MARKET IN COLUMBUS IS CRAZY! I wanted to tell you about this house I just listed. I wanted to make a video, telling you all about it. I wanted to invite you to the Open House… and ask you to share it with your friends. The house I listed, within 48 hours, received 6 different offers, 5 of which were OVER list price, and we ended up going into contract for more than $5,000 over list price. What?!!! That’s the reality of the market we’re in right now. What’s a prospective Buyer to do? Houses are going into contract so fast – at record pace. They’re going into contract for such a high percentage of list price, many times AT or ABOVE list price. 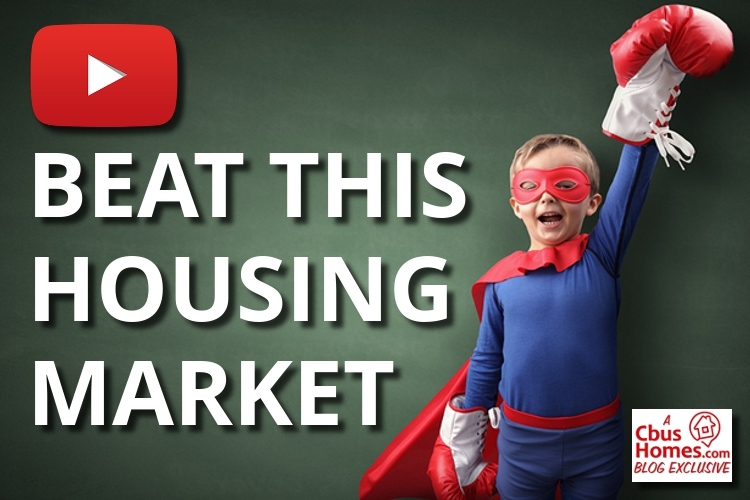 In this market, a home buyer needs to know about homes the moment they hit the market. 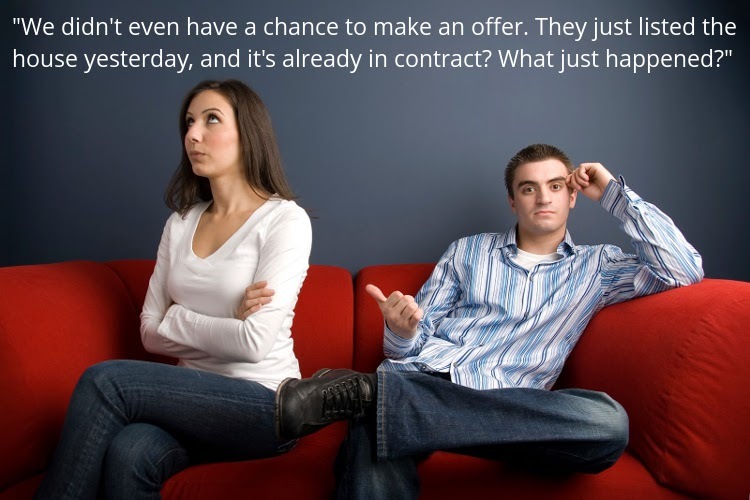 If you’re a buyer, and you don’t go see a house the same day it hits the market, there’s a really good chance you’re going to be too late to the party, and you’re going to miss out on your chance to make an offer. And even then, seeing the house right away isn’t always enough. You might be competing with multiple other buyers for that house. It’s a feeding frenzy out there. So, if seeing a house immediately after it’s listed isn’t even a guarantee to put you in prime position to get your dream home, what can you do? What would be better than seeing a home the moment it hits the market? How about knowing about houses and seeing them BEFORE they hit the market! I’m not able to see the future. I don’t know about ALL of the houses that are going to hit the market and be listed in the coming days or weeks. But I do know about A LOT of them. I have my resources and connections, and I’m continually building a list of UPCOMING LISTINGS in the Columbus, Ohio area. And I’d be more than happy to share that list with you! For free! 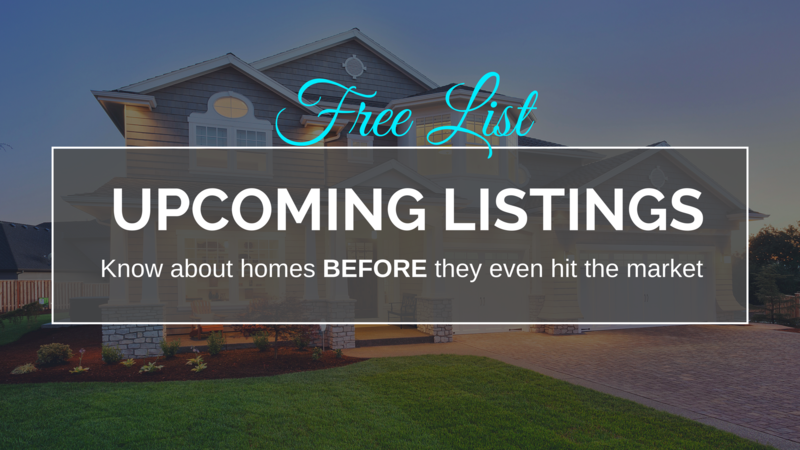 So, if having availability to this list interests you, all you need to do is visit the sign-up page, and I’ll send you a list of all the houses I currently know about that are coming to the market soon. We can go see those houses, maybe even before they hit the market, write an offer, and go into contract on your dream house BEFORE any other buyers had the chance to see it or even know about it. Just visit www.ComingSoonColumbus.com and get your FREE LIST OF UPCOMING LISTINGS in Columbus, today! This is going to give you the best opportunity to beat other buyers to many of the best houses in the Columbus area and get you into your dream home right away.